My mom and I spent most of the day running some errands. 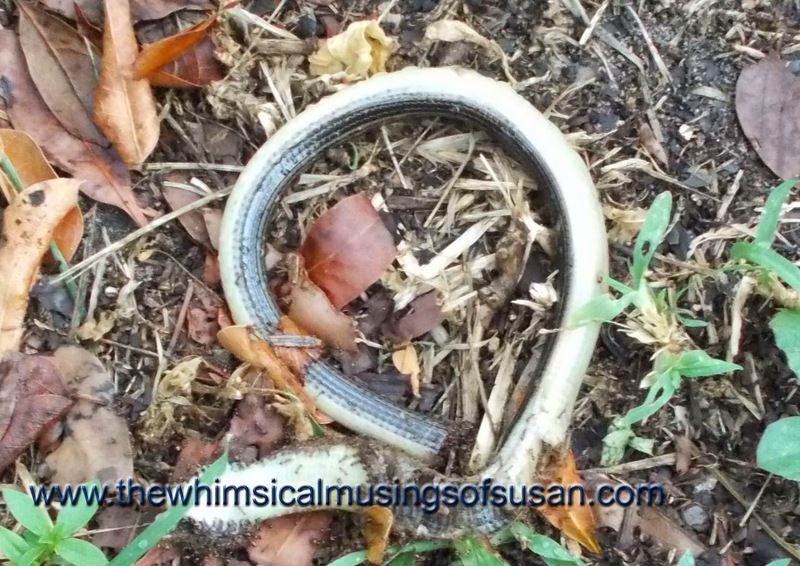 When we returned to a relative’s home, my mother noticed that there was a dead snake in the grass. We didn’t see it when we were leaving for some reason. It had been hacked up pretty bad and there was no head. The snake looked young. I am a bit concerned that the mother or other youngsters could be somewhere lurking. I forget which type of snake it is, but my mom feels certain that the snake is poisonous. There is a canal and a huge open field near the home. In the tropics there are dense grass and canals, which tend to attract lots of pests like rodents, lizards, spiders and bugs. Even though the large lot next door does not belong to my relative, he and the city tend to it and cut the grass to keep the pests from becoming a total nuisance. We went inside and told the others about our interesting discovery. They weren’t surprised by the news. That morning, my relative killed the snake with a machete, because it chased a screaming woman walking through the huge lot. He didn’t want to risk having a dangerous, potentially poisonous snake on the loose. My relative says that the snake’s tail continued to sliver, even after he hacked it in half. It did not stop slivering after him until he chopped it a few more times. The next day, the snake remnants were gone. I suppose a hungry bird or raccoon ate the remains for dinner.